Where can I find information about safety recalls? To use any of these services you’ll generally need the vehicle’s registration number or vehicle identification number (VIN) to find the information you’re looking for. What are the top 3 MOT fails? 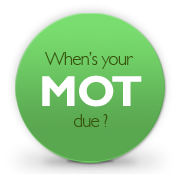 Where can I find the MoT reminder service? The DVSA are currently working on a BETA testing phase for an MoT reminder service, should you like to try this new service, FREE of charge currently, visit: https://www.reminders.mot-testing.service.gov.uk/. We service all makes and models using quality assured parts fitted by trained technicians. Our trained technicians are?able to?perform repairs?to all makes and models with quaranteed parts. Do you service & repair light commercial vehicles? We also have extensive experience in the service and repair?of light commercial vehicles. Call for details. What type of servicing do you offer? Do you have a fixed price service? Rather than offer fixed price servicing which can be very generic, we offer servicing to the manufacturers?specification which will?be dependant on the?year and mileage of your vehicle. Vehicle manufacturers invest a great deal of time in researching the particular needs of your vehicle and in offering manufacturer servicing we support this, although we can also offer a more taylor made service, specific to your individual requirements. Can we service your vehicle whilst it is still under warranty? Despite the lack of?general awareness?around this issue. Yes, we can service and repair?your vehicle whilst it is still under warranty. In 1995, under European law to prevent anti-competitive practices,?the motor industry introduced? 'block exemption' to?protect consumers?rights. Under the Motor Vehicle Block?Exemption Regulations (BER), consumers have a right to take their vehicles to an independent garage, should they choose to,?for service and repair?under the condition that manufacturer approved parts are used and that manufacturer servicing plans are adhered to.?? There are a?multiple of reasons why a warning or engine management light may?be displayed on your dashboard. Do not ignore it, contact?us to book a diagnostic - it may not be a significant fault but ignoring problems can?sometimes lead to further?complications and costs. Why do you use Mobil 1? lubricants? We use Mobil 1? lubricants, not only because?it is the World's leading synthetic oil brand?but because we feel that it offers your vehicle the optimum care its deserves. Mobil 1? ?have 42 years of experience in developing their lubricants with race teams and vehicle manufacturers alike to aid in achieving better fuel efficiency, extending the life of catalytic converters by lowering prosperous levels; and ultimately to provide the best protection?for your engine over a range of?temperatures and driving conditions. Do you offer a collection & delivery service? Yes, we offer a local collection and delivery service. Please call to discuss your requirements. Yes, all the parts we use are quality assured and come with a 12,000 mile or 1 years guarantee. What vehicles do you M.o.T? We M.o.T cars and vans up to 3 tonne as well?as?motorcycles and scooters.